The DaCapo Chamber Choir was founded in 1998 in Kitchener-Waterloo, Ontario under the direction of Leonard Enns. The mission of the choir is to promote the best of contemporary choral music through the highest possible standard of public performance and the intentional championing of music of Canadian and local composers. 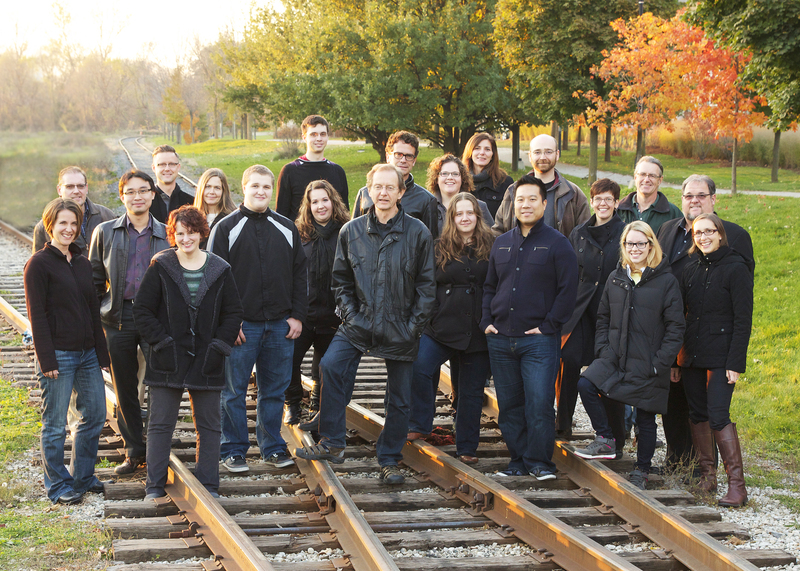 The choir’s annual national NewWorks choral competition for Canadian composers aids in establishing a vibrant and vital presence for recent and emerging Canadian choral music. Our performance season consists of three annual concerts in Kitchener-Waterloo: once in the fall around Remembrance Day, a mid-winter, and a spring concert. In addition, the choir performs on an ad hoc basis at other events. We have worked with numerous choral groups, musicians, and composers since our inaugural season, including the Kitchener-Waterloo Symphony, Elora Festival Singers, Kingston Cantabile Choirs, Guelph Chamber Choir, Penderecki Quartet, Lachan Chamber Choir, Willem Moolenbeek, Eric Friesen, Bruce Dow, and Eric Whitacre, to name just a few. DaCapo was awarded first place in the Contemporary Choral Music category of the 2011 National Competition for Canadian Amateur Choirs. The choir also received 2nd place in the 2011 Chamber Choir category. Also in 2011, DaCapo’s second recording, ShadowLand, received the 2010 National Choral Recording Award from the Association of Canadian Choral Communities. For information about how to audition for the choir, please email auditions@dacapochamberchoir.ca . Leonard Enns is Professor Emeritus of the University of Waterloo Music Department (Ontario, Canada) at Conrad Grebel University College, and active as conductor, composer, and choral adjudicator. He holds a PhD in Music Theory from Northwestern University, Chicago (with a dissertation on the choral music of Harry Somers), a Master of Music in Choral Conducting (supervised by the late Margaret Hillis), and undergraduate degrees from Wilfrid Laurier University and CMBC (now Canadian Mennonite University). He served as conducting assistant to Margaret Hillis for his three years of graduate work at Northwestern University, conducting both the NU University Chorus and the NU Chamber Choir. Enns is the founding director of the award-winning DaCapo Chamber Choir (founded 1998), past director of the UW Chamber Choir, and former (founding) director of the Conrad Grebel Chapel Choir. He has recorded eight choral CDs with his various choirs, and been engaged as conductor on several other recordings. Consistently championing the music of Canadian composers, he has led choir tours throughout Ontario, parts of Quebec, and through north-central and eastern USA, from Indiana to Pennsylvania. He is active as guest conductor, choral adjudicator and clinician; he has served as invited adjudicator for the Llangollen International Music Festival in Wales for four years. Conducting honours include the 2010 Association of Canadian Choral Communities (ACCC) Outstanding Choral Recording award for the DaCapo CD ShadowLand, several advanced placements in the former CBC choral competition, and a double win for the choir in the 2011 Choral Canada Choral Competition with a first in the contemporary class and a second in the chamber choir class. Two of his recordings with the DaCapo Chamber Choir have garnered JUNO composition of the year nominations for works on the discs. In addition to his work as conductor, Enns maintains an active composition schedule, with commissions coming regularly from across Canada, USA and Europe. His music has been performed throughout North America, Europe, in China and Japan, and has been recorded by various ensembles and soloists, ranging from amateur choirs to professional ensembles such as the Elora Festival Singers. His Nocturne, recorded by the DaCapo Chamber Choir, received a JUNO nomination as Classical Composition of the Year (2010). Recent premieres of commissioned works include There is a River, commissioned by the Royal Canadian College of Organists for its 2015 national convention in Winnipeg; Aperi, Domine, os meum for the Warsaw Polytechnical University Choir, premiered in Warsaw, Poland in October 2015; I will lift up mine eyes, commissioned by the Toronto Mendelssohn Choir and premiered in March 2016. Recent commercial recordings of his work include several Naxos discs by the Elora Festival Singers, and the premiere recording of Surge amica mea commissioned and recorded by the Golden Gate Men’s Chorus, and the premiere recording of his Vanishing Point (saxophone and organ) commissioned and recorded by the Winnipeg Organ Duo. Vanishing Point is currently planned for performance by the Duo at the World Saxophone Symposium in Zagreb (July 10-14, 2018), and his new half hour work, This Thirsty Land, commissioned by the University of Guelph Choirs and composed at the Banff Centre, will be premiered in Guelph this coming April, followed later that month by two further performances by the joint choirs of DaCapo and Orpheus Choir of Toronto. Publishers of Enns’s music include Gentry Music, ECS Publications, Boosey & Hawkes, Gordon V Thompson, Kelman Hall, and Cypress Choral Music along with several smaller publishers. His works are recorded by various Canadian choirs, including the Elora Festival Singers, the Winnipeg Singers, the Toronto Children’s Chorus, and, of course, the DaCapo Chamber Choir. Enns is an associate composer of the Canadian Music Centre which holds much of his music. All of his unpublished music is also available directly from him.